The Mystery of Edwin Drood is a murder-mystery set in fictional Cloisterham, England. Orphan Edwin Drood is engaged to marry fellow orphan Rosa Bud, as contracted by their respective parents before their deaths. But as they grow, they both learn that feel more obligation to these wishes than genuine affection for each other, and decided to break off the engagement. Shortly afterwards, during a storm on Christmas Eve, Edwin disappears. Leaving nothing behind bit some personal belonging, he is gone without a trace. Edwins uncle, John Jasper, is the prime suspect. Leading the double life of choirmaster and opium addict, he is madly in love with Rosa, which brings his character into question. The novel was unfinished at the time of Dicken’s death and he left no notes, so his intended ending for the novel remains unknown, and there are many theories on who the murderer was planned to have been, or if Edwin, with no body being found, was really dead at all. Walter Mason is a writer and creativity teacher. Together with Stephanie Dowrick he runs the Universal Heart Book Club, an online book group that concentrates on matters of the spirit. 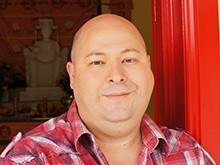 He is the author of Destination Saigon (Allen & Unwin, 2010) and Destination Cambodia (Allen & Unwin, 2013). He moved to Sydney when he was 18 and has been in love with it ever since. Join Walter Mason in the Tom Keneally Centre for an illustrated talk on the death of Charles Dickens and his final novel. 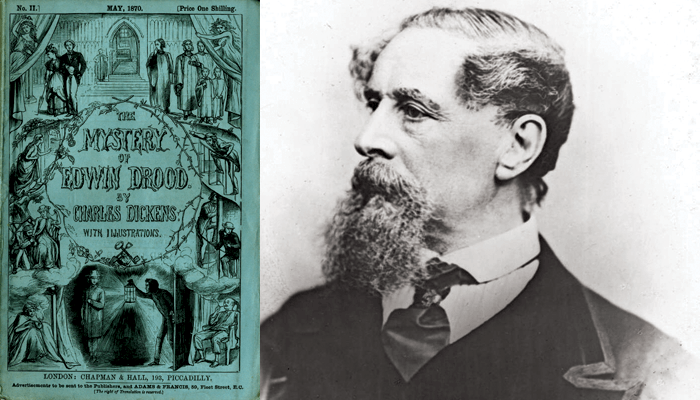 When Charles Dickens died on 9th June 1870, his final novel, The Mystery of Edwin Drood, was unfinished. His famous death sketch, done by one of the world’s most famous artist at the time, was hated by Dickens’ daughters. What did the world make of a half-finished book by the most famous author in the world? In bad health, Dickens had had a premonition that he would never finish this novel, and he’d changed his publishing contract in an uncharacteristic manner. After he died an American Spiritualist began to channel his spirit and completed the novel. Come and learn about the whole fascinating story, from Mesmerism to opium and cursed silver tableware! This talk is held in partnership with the NSW Dickens Society. Places are limited, so please book early to secure your seat!